NTT Communications (NTT Com) and DTSI Group (DTSI) announced that they have entered into a definitive agreement under which NTT will acquire a controlling 50.1% interest in DTSI. Benedict Hernandez, President & CEO of the Business Processing Association of the Philippines, extended his congratulations to the firms, and expressed appreciation for their commitment to the Philippine IT-BPO industry. DTSI Group, a full-service provider of state-of-the-art business facilities, innovative communications services, and game-changing technology, launched a new corporate website featuring its comprehensive range of services and systems. The enhanced DTSI Group website, http://www.dtsigroup.com, provides insights on how the company designs, builds, deploys and manages end-to-end business communications, facilities, and technology services that can help enhance business strategy and strengthen client relationships. 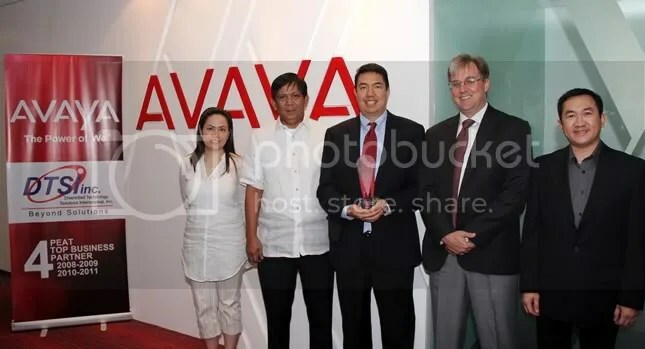 Systems integrator and facilities developer DTSI Group has been named the Avaya Connect Philippines Business Partner of the Year for 2011, singling the company out as Avaya’s best-performing business partner in the Philippines for the fourth year straight. The Avaya award was made in recognition of DTSI’s overall business performance in 2011. The global business communications systems firm saw increased revenues and customer satisfaction as well as expanded market coverage for the year. Among Avaya Connect channel partners in the Philippines, DTSI achieved the highest annual revenues, had the largest number of experts certified on Avaya technology, and demonstrated advanced technical expertise in implementing and configuring Avaya’s products and solutions, according to Avaya executives.